If you need denim inspiration for the upcoming season, look to Jessica Minkoff. The fashion expert works at Bergdorf's, so it's no wonder she's a style maven that gets it just right every single time. She styles jeans almost every day and somehow makes it look fresh and innovative with the right accessories. 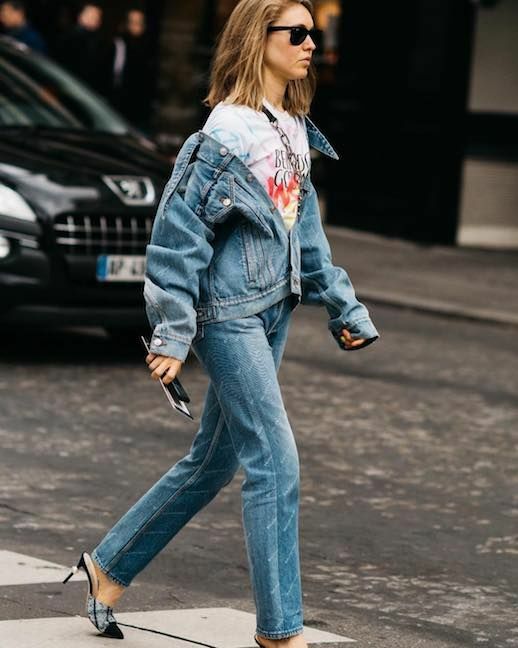 With a pair of statement mules, a half-buttoned Balenciaga denim jacket, and a graphic tee, the Canadian tuxedo has never looked better.